A model smolders in fake lashes, fuzzy knits and teased hair at the Alice + Olivia presentation at the McKitrick Hotel. Click through for more of my favorite shots that I took during NYFW. 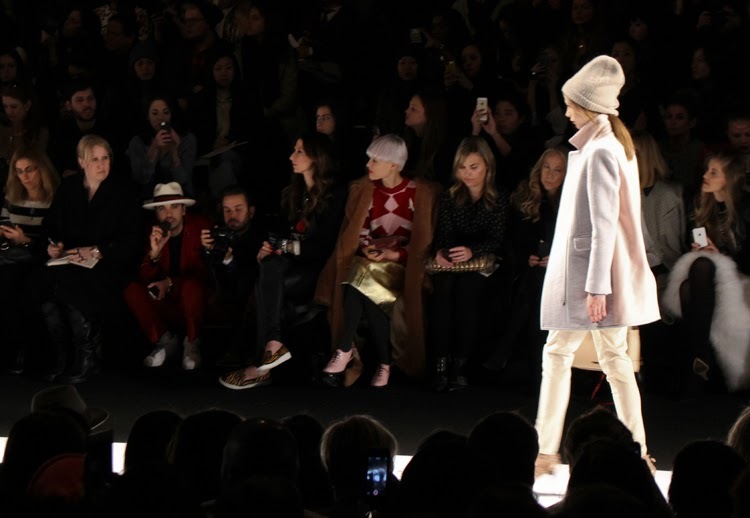 Now that I have my own camera and have been editing most of the photos for the blog, I was really looking forward to New York fashion week as a chance to practice my photography in one of the most difficult settings ever: a live runway show. Between the bright lights and moving models, it's always tough to get a great shot. I clearly still have some work to do, but regardless, I hope you enjoy checking out some of my favorite snaps above as much as I enjoyed taking them! 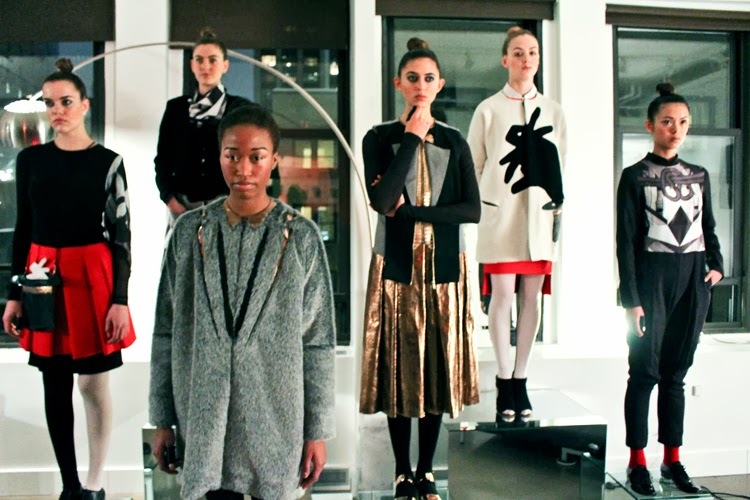 1) A shot from the enchanting Alice & Olivia presentation. 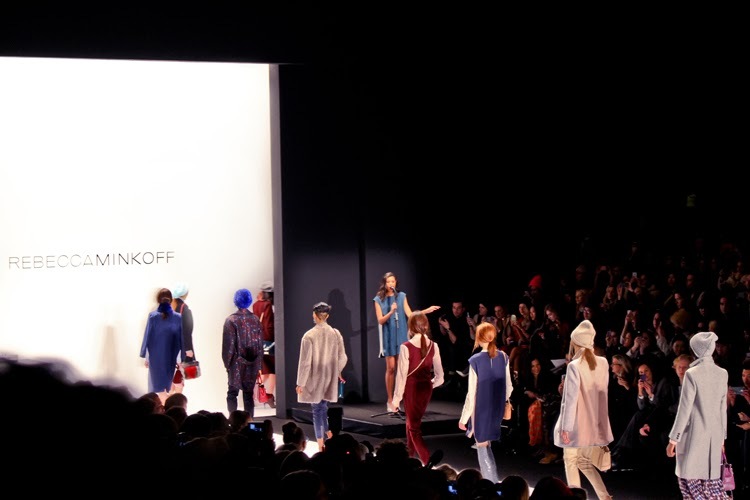 2) A head-to-toe pastel look on the Rebecca Minkoff runway. Check out the full collection here. 3) As AlunaGeorge performs, models clad in colorful, menswear-inspired looks exit the runway during the Rebecca Minkoff finale. 4) One of my favorite looks from Nicole Miller was this fierce, textured leather dress, which fit perfectly into the Warrior vibe of the complete collection. 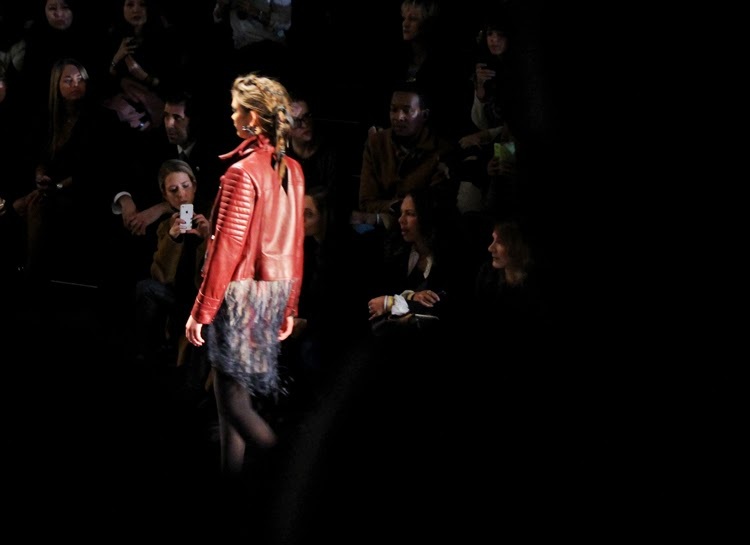 5) Crushing on this red leather jacket from Nicole Miller. Check out the awesome messy updos too! 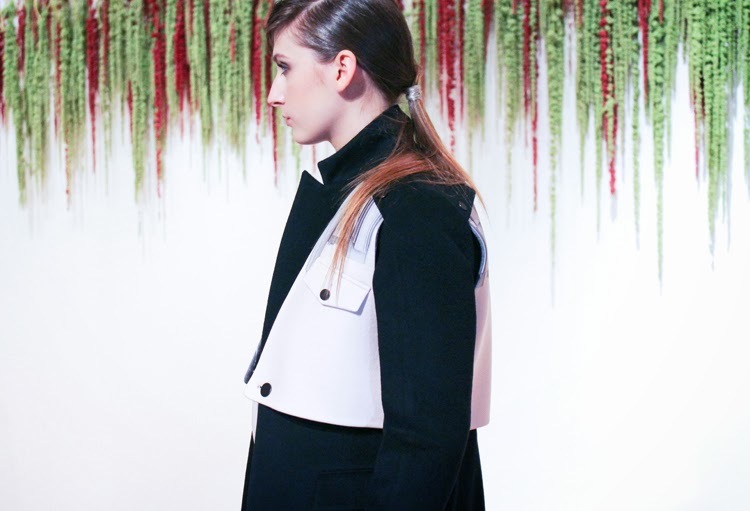 6) I loved the conceptual creations of Handkerchief, a brand started by Hong Kong artist Amy Cheung. 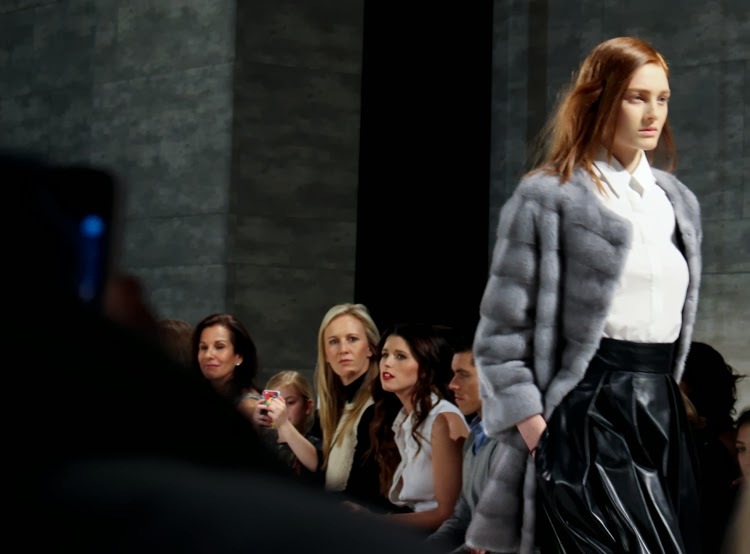 The theme this season was magic, and the prints and imagery (that rabbit coat for instance) were just that. 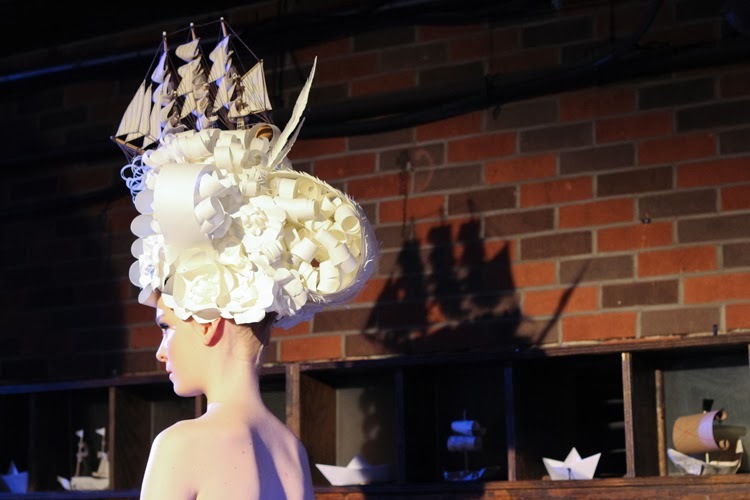 7) One of the highlights at the entrance to Alice & Olivia's presentation was this over-the-top, Victorian-style wig. 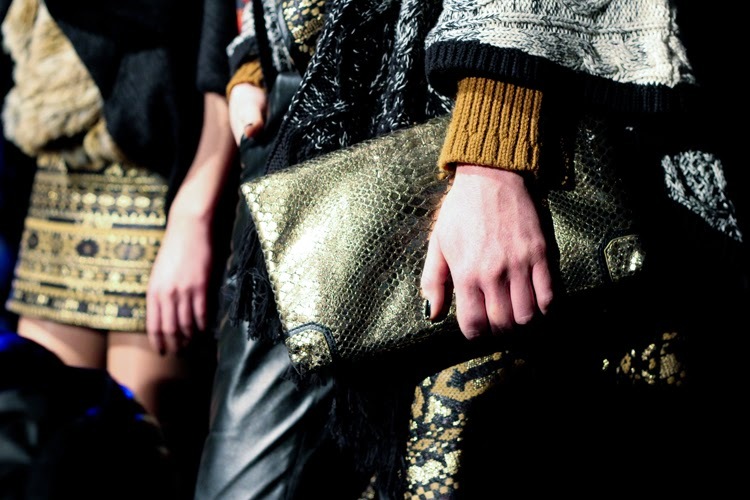 8) Gorgeous gold textures, layers and patterns from Alice & Olivia. 9-10) Adeam's first runway show was full of sumptuous, tailored leather and fur separates paired with great, chunky, cut-out platforms. 10) The structured coats in Korean label CRES.E.DIM's collection were a dose of minimalist perfection. 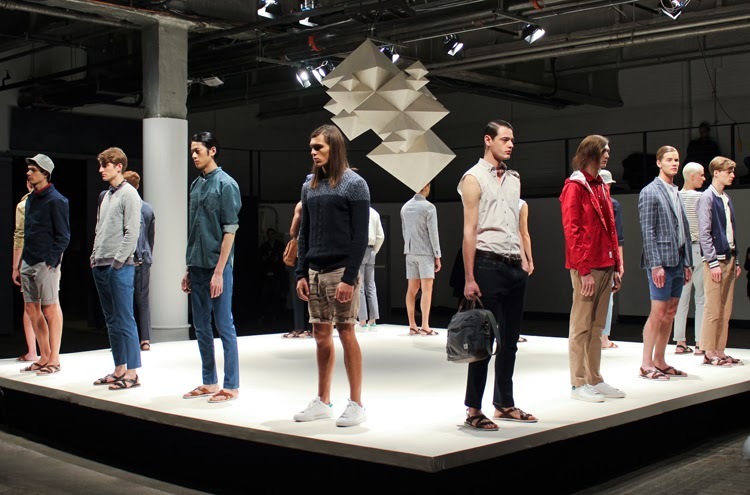 11) The one menswear show I went to all week was the presentation for Frank & Oak, whose clean, preppy aesthetic pretty much sums up my boyfriend's style to a T.
The Alice and Olivia one is amazing- i kinda wish i had hair like that. haha it's SUCH a statement!